I’d need alot more land and alot more money for all those horses.. Sometimes wishes are just wishes. 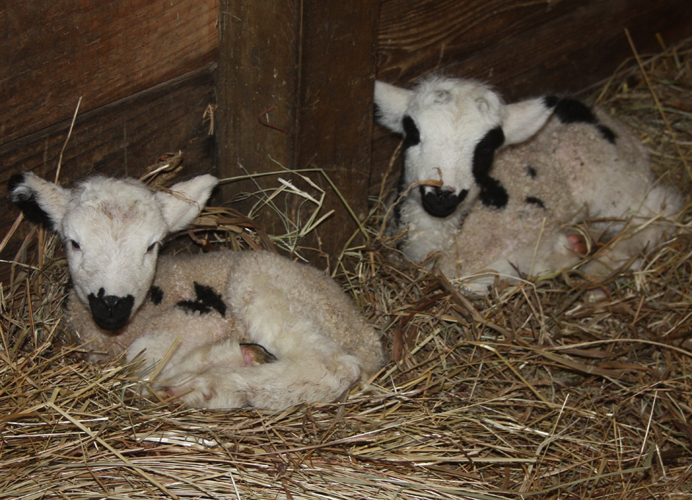 I wished the first lambs would hold off until after last week’s sleet, rain, and freezing temperatures. I didn’t get any horses, but we started lambing on a beautiful day. 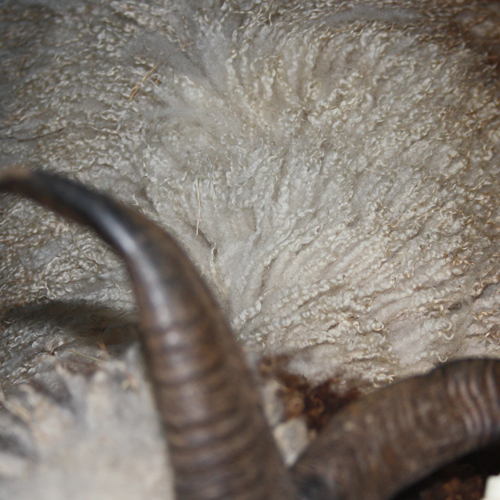 Most years I see the the rams breed and have a pretty good idea of when the ewes are due. I have inked rams some years, but my rams seem to continue to mount a cycle or two after conception. Or I forget to change the colors. Last fall I didn’t see many breed and I didn’t ink. This year I’m guessing for most. Lambs could have started anytime in the last 10 days. Polite Patchwork Harper picked yesterday – the nicest day this year – sunshine and 65 degrees. Some years I do naming themes and some years I wing it. Yesterday was so warm and sunny that it was the first day of the year when we decided to sit outside in the sunshine and drink a beer at the end of our workday. Ahh.. springtime! 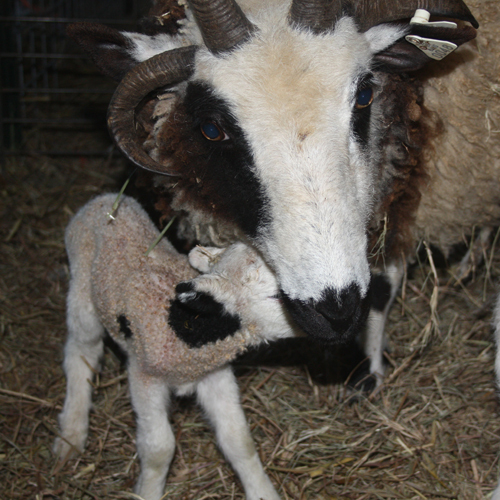 Harper decided that was also a good time to deliver her Unzicker Abbott lambs …. Porter is missing eye patches on both sides and he has less color on the side not pictured. He’s a little bitty boy – half the size of his twin. and he inherited his dam’s fleece. I wish for many things when thinking about each year’s lamb crop. 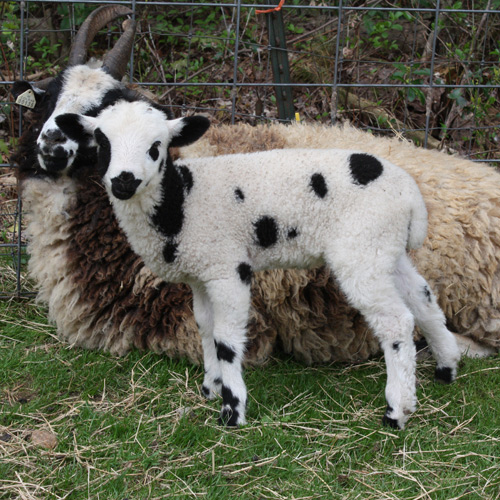 Perfect horns, markings, fleece, a ram from one cross, a ewe from another cross. 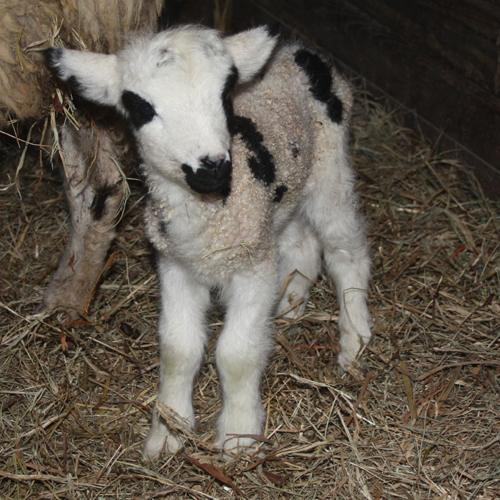 It all starts with healthy lambs and easy births and I get my wish every time a newborn lamb jumps up ready to face the world . Linda, this is a beautiful post. I miss my horses too. Subconsciously, I chose Icelandics after trying several breeds of sheep, because their personalities are much like horses. 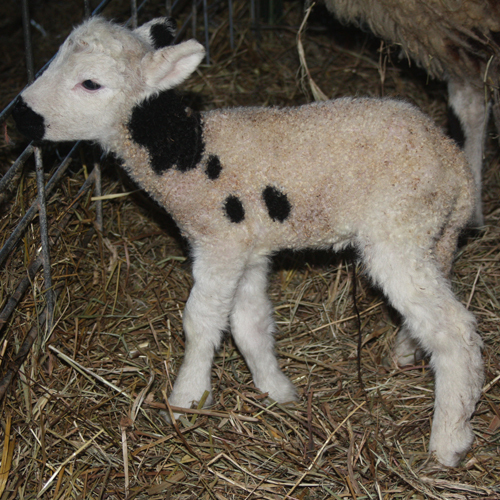 Happy Lambing!! 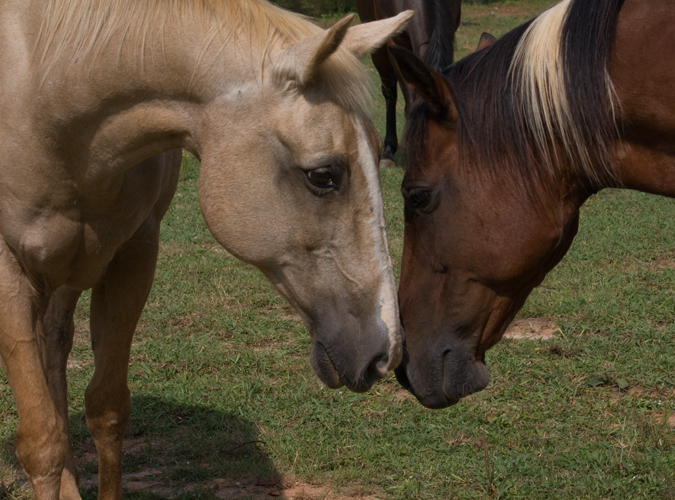 Wonderful post – and the photo of Bogo and Jesse made me all misty. Can I do a painting from it?